Two young girls in kimono. Japanese tourism poster published by the Japanese Travel Bureau, 1950s. 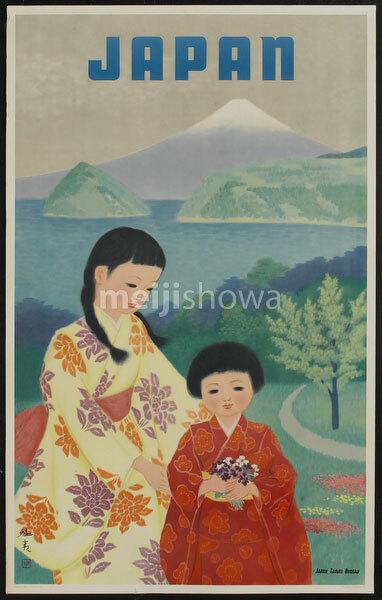 Mother with daughter, both in kimono, picking flowers.